These sessions are great to update your family pics and perfect for christmas pressies.. As sessions are limited please email me to arrange your session time, and payment is to be made in full at time of booking to secure your time slot. 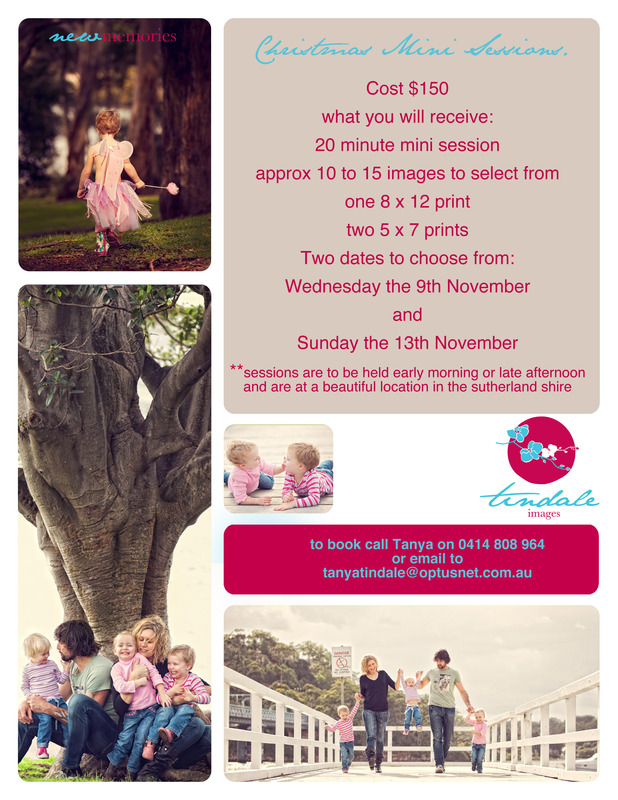 These Sessions are to be held in the sutherland shire at a location that i often work at, such beautiful images can be captured here and there are heaps of different looks that can be achieved in your session. There are early morning sessions as well as late afternoon ones to ensure the best possible light for your session. If your session is rained out your payment can be transferred to another date. to capture your family having fun and to produce amazing gifts for your family.. No need to go shopping this year for christmas pressies!! !